It appears studying the article that the Globe reporter is carrying the water for some disgruntled former employees of Cruz. The reporter on the story Michael Rezendes has written several other stories critical of Cruz. He says Cruz’s “handling of cooperating witnesses has helped fuel an exodus from his staff .” Yet he produces not one person who said he or she left because of his handling of cooperating witnesses. How can he make such a defamatory statement without an iota of proof? He does offer us a statement from John E. Bradley, Jr. He was fired by Cruz. He is suing him. He said Cruz has been “utterly reckless” and does: ”not to care what crimes the informant committed in the past or what crimes he might commit in the future.” He never said that at the time he was fired. He offers no examples of Cruz being reckless. He obviously has a strong bias against Cruz as does Rezendes who defamed him without proof. Those familiar with the matters surrounding Whitey Bulger are aware what the Spotlight Team can do for those who provide it help. Former corrupt FBI Supervisor John Morris was a friend of the Spotlight Team. It was his job to supervise the actions of agent John Connolly. When it came time to charge one of them, Morris, the supervisor got a deal even though he admitted taking money from Whitey Bulger; Connolly who was under him got charged and convicted. Connolly’s still in prison; the supervisor who testified he was friends with a reporter on the Spotlight Team was allowed to retire with full pension. The article just referred to related to emails that had been distributed among Cruz’s staff that he was unaware of that reflected a racial bias among some of the prosecutors. Those were discovered because of Bradley’s law suit when the emails of another prosecutor who worked for Cruz for 17 years joined in the suit against him. Talk about biting the hand that feeds you. This is truly a tawdry affair. A newspaper going after a DA because the DA fired a guy who helped them out in a story. There’s no other way to look at it because as I pointed out yesterday there was nothing to the story that attacked DA Cruz. If James Joseph Bulger is granted his Constitutionally guaranteed right ro present a defense ; And not have that prerogative pre-emptively spirited away by Judges, Prosecutors, Law Enforcement, butchers, bakers, candlestick makers, ink stained lovable ” Whitey ” biographers, Pandits, ” Polecats ” ( Moore) , Flemmis’, Weeks ‘ and sundry flim flam artists in the well coached … ” You will speaks as … ” … Then it’s a new deck, same old game. A new deck ; Mark the ” Cards ” that may appear. 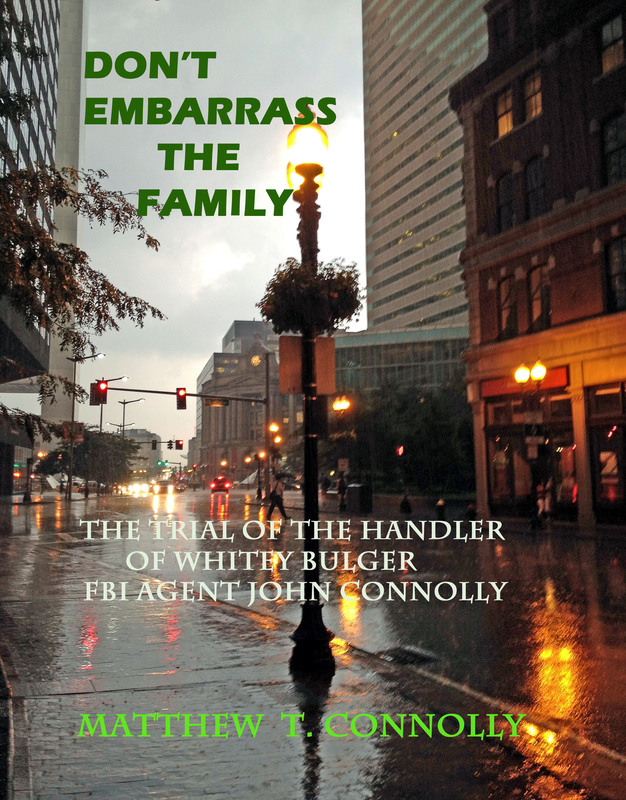 File rhe idiom of prosecution under …” Don’t ask Mr. Bulger questions that you really do not want answered. ” It is a fatuity to believe otherwise. It is a House Of Cards. Sorry for going off-topic, but do you think Whitey will testify this time? He seems to be softening up a little, as indicated by his letters from prison. What forum are you talking about? Did he have his conviction reversed? Whitey wants to control the message; he could not do that on cross-examination but there is nothing pending that will require his testimony that I know about.